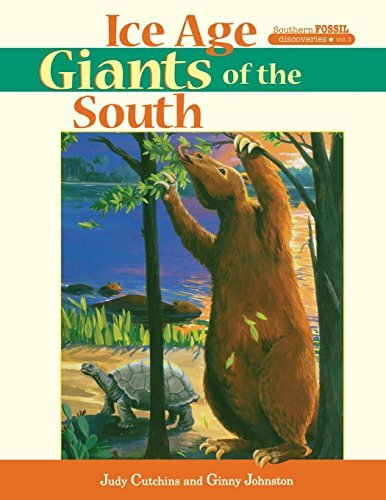 Chronicles recent archaeological discoveries of fossils in the Southern States. Judy Cutchins is the author of numerous award-winning science books. In both 1991 and 2001, she was honored as Georgia Author of the Year in Juvenile and Young Adult Nonfiction. She has specialist degrees in elementary education and more than 25 years of experience as a writer and educator at Fernbank Science Center in Atlanta, Georgia. Ginny Johnston is the author of numerous award-winning science books. In both 1991 and 2001, she was honored as Georgia Author of the Year in Juvenile and Young Adult Nonfiction. She has specialist degrees in elementary education and more than 25 years of experience as a writer and educator at Fernbank Science Center in Atlanta, Georgia.